Carrying on from yesterday, today I want to talk about step 2 in the plan for preparing yourself to win at betting. At the end of the week we'll put together everything we've covered in the week into a plan that you can work to get yourself on a professional footing. Most bettors don't like losers and find it hard to tolerate long losing runs. Even if they have done their research and they know that their system or method has had a losing run of, say, 10 in the past. They can still crack and give up after a losing run of 5 or 6. If you can't stand losing runs then you need to be looking at high strike rate lower priced selections in the methods that you use. Betting at shorter odds at a higher strike rate may give you the confidence to bet with higher stakes. But again you need to think about how much you could lose and still remain calm and focused on your goal. Obviously with higher stakes it doesnt take much of a losing run to run up a big deficit. I know bettors who will risk a grand or £1500 on a short priced selection, but if 2 or 3 of those lose on the bounce you need balls of steel to stay cool and maintain your judgement. The important thing is to stick within your comfort zone. Ideally you should be betting at a level such that if you lost 10 bets on the bounce that it wouldnt effect your judgement. And wouldnt effect your life at all. If you had a £1000 bank for example, how would you feel if you staked £2 and lost that bet? Not bothered I guess. What about if you staked £5 and lost, how would you feel? What if you staked £2 and had a losing streak and lost 10 bets in a row, £20 loss. I guess you wouldn’t be too bothered if you knew the system had a good history, so you need to look at losing streaks and factor in the level of loss that you could comfortably tolerate. Greed plays an important factor for those that are in the 98% bracket. Greed can be a very subtle emotion, and we all operate greed to some degree now and then. With betting however, it is very important to isolate greed completely, because greed is your enemy, and it is out to trip you up. The best way to keep greed in check is to assume that your bet is going to lose, and to ensure that the stake amount is set according to your emotional make up. Once you have this level set, you are ready to continue. The reason it is important to bet within your emotional comfort zone, is so that you don't pull out of a losing streak prematurely. Most people when they bet, pullout halfway through or near the end of the losing streak. They determine that the system or the tipster is no good, but in fact, quite often, the bettor pulls out prematurely and suffers from a reduced bank. With proven successful systems, the losing streak usually pulls out back into a profit, and continues to make an increased profit throughout the year. For those that have pulled out however, have ended up with a loss and have not enjoyed the profitable return that the system has made. Those that bet according to their emotional/ psychological make-up, are more likely to stick to the system to see the losing streak through. Todays Selection ourtesy of the Betting Insiders Club. Yesterday’s selection Kopkap faded out of it at the business end of the race. For today we are turning to our stats guru Mark Foley’s new “Owner Watch” angle with the 3yo Agerzam who would most likely have won last time out but for meeting interference in the final furlong. The owner has a 39% strike rate at the track in the last few years. Today I'll run through what happened with yesterdays well handicapped horses and I'll include a list of today's contenders. So we put up 27 horses yesterday that had previously won off of the same or a higher mark than yesterdays. The horses ran in 8 races and we found 1 winner at 14/1. 5 placed horses at 33/1, 14/1, 7/1, 9/2 and 7/2. 9 started at shorter odds, 6 at the same odds. I think these results are a good sign that we are onto something, and the comments on yesterdays posts would suggest the same. What we need next are some rules that will weed out some of the less likely to win horses. Today we have 79 qualifiers in 19 races. In some of these races over half the field is running off of a better mark than they last won off of. It may be that we need to just disregard races with too many qualifiers. What I have done below is listed all the qualifiers along with the prices as of 9.45. I've also marked whether they are a course or distance winner and I've marked an asterisk against the horse with the biggest advantage in each race. 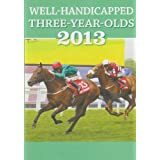 Today we have a guest article from Jon Gibby who is the author the Well Handicapped Three Year Olds series of books published by Raceform. He is also a regular contributor to the Betting Insiders Report where he shares his winning methods. Today he shares a very small part of his comprehensive guide to finding big priced ante post selections for the summer classics including the Derby and The Oaks. 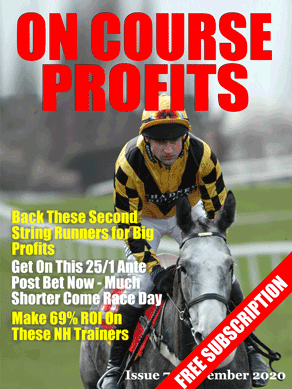 The full strategy and selections can be found in the current issue of Betting Insiders. Speed figures are an excellent tool for identifying the best two-year-olds as soon as they make their debuts. Any 2yo that clocks a Topspeed figure of 80+ first time out is very likely to prove to be at least of Listed class and a significant proportion of them will be Group class. Very few horses are able to overcome their lack of experience to run so quickly on their debuts and those that do are worth monitoring closely. Those with the right profile in terms of their breeding and connections are likely to be genuine contenders for the Classics. There are normally about 15 qualifiers each year on average but the small pool of horses the method highlights often includes a Classic winner and other Group 1 performers. In recent years this method has flagged up the credentials of the Oaks winner Sariska (33/1), St Nicholas Abbey, Workforce and the Fugue. By getting on these horses ante-post, soon after their debuts, good profits can be made and it is often the case that they can be laid at much shorter odds nearer to the race, thus guaranteeing a return on investment. It is worth pointing out that Sea The Stars clocked a Topspeed figure of 87 on his debut in a 7f maiden at the Curragh in July 2008, although he didn’t win that day because he was too inexperienced to beat several very good rivals. We have secured a discount code which gives a 20% discount on any Betting Insiders subscription package. It is limited to the first 50 users.